There’s a lot of talk out there about how taking the things of life personally is a bad idea. But we do take things personally, because we are people… and simply deciding to stop taking things personally isn’t going to work. We’re persons, so we have personal relationships. That’s the kind of relationship persons have. 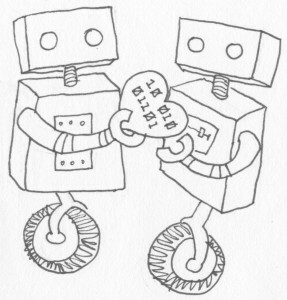 We’re not robots, having robotic relationships. If we were, perhaps we’d be able to just flip a switch and not take things personally any more. But, like I said, we are persons. And as a person, not only do you make it personal when things happen to you — you do it in an instant, far too quickly to stop before it happens.